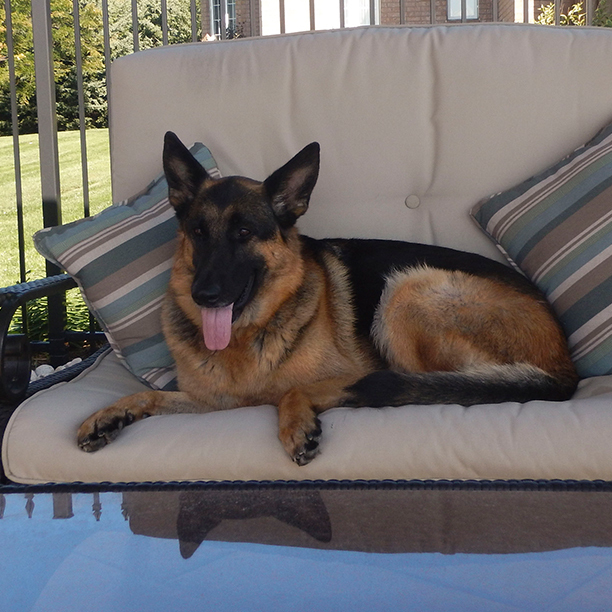 Our German Shepherd Dog named Skyra was diagnosed with hip dysplasia and had a FHO surgery in May 2016. She was five years old at the time of surgery. Following the surgery, she was referred for rehab as she was starting to get comfortable on three legs and barely using the operated leg. During the initial consultation, it was recommended that Skyra should receive ultrasound heat therapy, underwater treadmill therapy and some stretching/therapeutic exercises twice weekly for first 4 weeks with Janine Ross. I noticed a huge improvement on Skyra, just one week after we started the therapy. She started to put weight on the operated leg and by end of the second week, she was walking and running using all four legs. Needless to say, I was over the moon. I truly believe, had it not been for the quality of rehabilitation Skyra received from Janine, she would have never been able to walk and run on all four legs within such a short time after the surgery. Janine is highly skilled, professional, caring, gentle and has a true love for dogs. My family and I are so grateful to Janine for helping Skyra get back to walking, running, playing and enjoying a pain-free life.